Hello users! We’re blogging again so it must be time for a new release. It’s been a while since we’ve seen you all, but that’s because we’ve been down in the basement shoring up some foundational elements of Metatron Discovery to make it more reliable and easier to run. Now meet another (minor) stable version of Metatron Discovery 3.0. From now on it is possible to query Druid with SQL and it’s much easier to use the Metatron Discovery Workbench! Users who wanted to see Druid data sources flexibly with SQL must feel satisfied. Feedback is always welcome! If you dealing with spatial data with the columns of latitue and longitude, now you feel happy for that we are fully supporting geospatial analysis from ingestion to visualization. This is a feature we’d wished we’d had for so long (and so have many of you). In detail, you can make “Geo” type column when uploading data to engine. 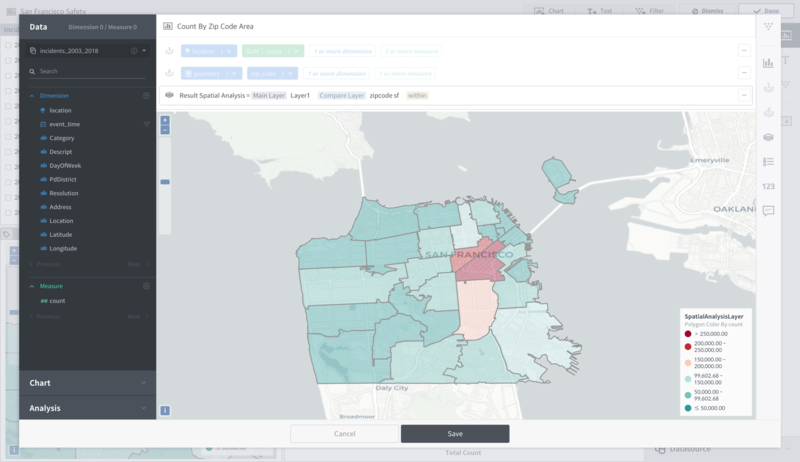 And using the Geo column in dashboard map chart. Multi layers are supported in the map chart. One of the biggest changes in 3.2.0 is how data connection work. 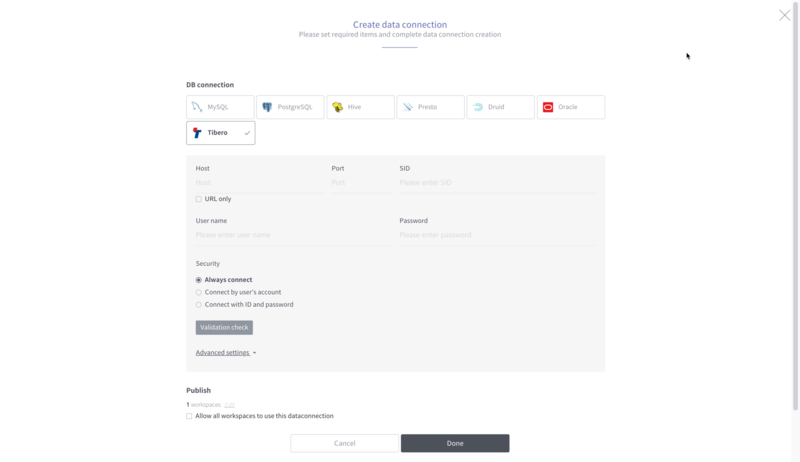 Make your own connector for any databases. It is super easy to developers cause we made the data connection structure more pluggable. Soon we will update the document on how to do it. More than 40 other fixes and improvements were crammed into this jam-packed release. Check out the full list of enhancement. You can always download the latest version of Metatron Discovery at metatron.app/download/. Choose one from 3 types of installation: Binary, VM, Docker image. Leave your problems here if you get stuck or need help for installation. Thanks as always for using Metatron Discovery, and we’ll see you back here next time!